London-based, corporate and personal immigration specialist, A Y & J Solicitors, captured the judges’ attention for its big-picture perspective, delivered with empathy and understanding. The 10-strong team headed by directors Yash and Arjun Dubal, and guided by the company’s core values of credibility, competence and care, is fuelling A Y & J Solicitors’ growing reputation for professionalism, efficiency and do-whatever-it-takes attitude to rise up the ranks of independent review sites, impressive for a comparatively small team in an increasingly important sector. 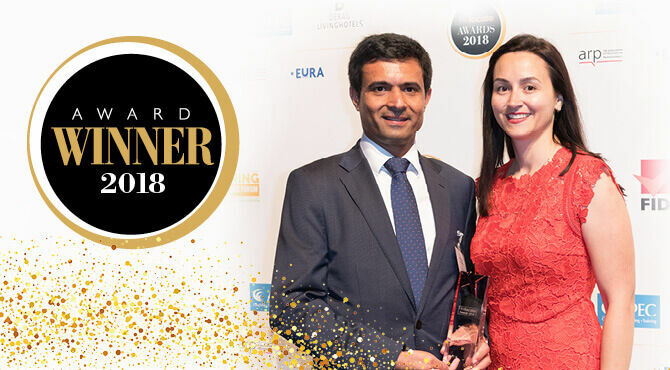 The Relocate Award for Immigration Team of the Year crowns the company’s achievements in partnering successfully with HR and individuals across all sectors to provide the best customer experience delivered with integrity. Among the team’s notable successes is helping an IT company secure its Tier 2 sponsor licence after previously being declined, meaning the client could go ahead and deliver its specific project. The firm’s client-centric, values-based approach underpins its relationships with customers and enables them to work in true partnership to help meet their staffing and immigration needs. A Y & J Solicitors is therefore elevating itself beyond the traditional, more transactional external vendor relationships. It is adding real value to relocation and HR processes, as well as to the UK’s competitiveness on the global stage through its status as a commercial partner to the Department for International Trade. Immigration experts are at the forefront of helping UK employers and businesses respond to critical challenges around key skills and competitiveness. Supporting employers to stay ahead of the changes and maintain compliance is vital. “There is a great deal of uncertainty right now over how government policies might change, and what the full impact of Brexit will be,” says Mr Dubal. “Employers are especially concerned about securing their skilled foreign workforce, attracting top talent in the future, and remaining competitive in a challenging economy. “Adding to this is the pressure from the UK Visas and Immigration division of the Home Office to remain compliant, often with the use of announced or unannounced compliance inspections,” says Mr Dubal. Among the team’s recent work was carrying out a mock audit of HR systems for a financial services firm. Finding potentially serious failings, A Y & J Solicitors highlighted then rectified shortcomings. With this positive approach, the team helped the client avoid the possible consequences of having its sponsor licence revoked or suspended, and the financial, business continuity and personal implications of this for the employees it would affect. The awards submission acknowledged how complex immigration cases can make people and their families feel very vulnerable; an issue which made national headlines recently in relation to the collapse of construction and facilities management company, Carillion.